Form a team and create a game in our second ever statewide 36 hour game jam, organised by the the University of Tasmania and the Tasmanian Game Development Society. The theme this time around is HEALTH. Your mission is simple: create a game that will help improve health. Expert mentors in a range of health disciplines will be available at the event to provide the advice you need in order to make a game that can make a real difference to peoples lives. 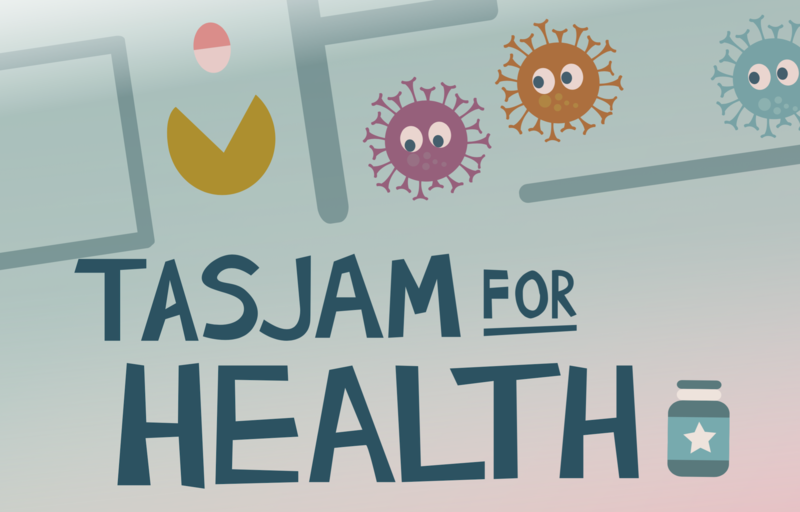 As a special incentive, there's a $6000 prize pool up for grabs, aimed to stimulate and kickstart a games for health industry in Tasmania. Winners will also be given the opportunity to meet with the Games4Health research team at the University of Tasmania after the event, to discuss how they might take their prototype to the next level. The event is being run concurrently at two sites, in Launceston and Hobart. Since there is a significant prize pool involved, there needs to be a few rules governing eligibility for the prizes. You can start formulating your idea ahead of the event. You can re-use existing assets from your previous projects. You can use freely available and paid-for assets that you have a license to use. You cannot start any concrete work on your project until the event has officially commenced. You must participate at one of the official sites, either in Hobart or Launceston. Entries will be judged based on two key criteria: innovation and execution. Fresh, genuinely innovative new ideas, preferably in relatively unexplored aspects of gamified health will score well. Projects which offer a relatively polished, well thought out, visually appealing, easy to use and fun experience will also score well. The best projects will do both. But it's a 36 hour game jam, we're only expecting a rough prototype, not a finished product. Teams will be given the opportunity to refine their prototype in collaboration with experts after the event. Rhythm based Jumping and Ducking game! A cooperative board game where 1 to 4 players work together to run a hospital. Ambitious biking simulator for health!